To create a campaign to raise brand awareness, navigate to the Advertisers tab and click New Campaign. On the Choose your campaign objective page, click Select next to Know my brand. On the Create a new campaign page, give your campaign a name. Defining your audience tells Yahoo Gemini the types of people you to whom you want your ad to serve. If you want to set up negative geographical targeting (a list of countries that you do not want to target), click I want to exclude locations and type the name of the countries, states, cities, or DMAs where you do not want your ad to serve. Define the language you want to target. You can target one language only. Select your audience’s primary language from the Language dropdown list. Your ad text must be in the language you select for targeting. Define the gender you want to target. For Gender, click Male, Female, or All. Select the age range you want to target or select All. 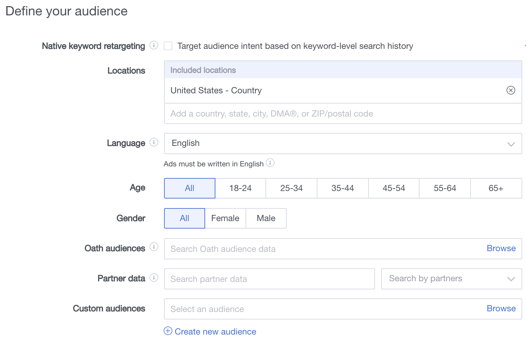 If you have created a custom audience and want to use it for targeting in this campaign, start typing the name of the audience in the Custom audiences text box. If you want to create a new custom audience, click Create a new custom audience. Campaigns that drive website traffic are on a cost per click (CPC) basis. You can set the maximum amount you want to pay per billing cycle, and set the billing cycle frequency. Start typing the name of the currency you want to use for budgeting purposes. Enter the maximum amount you want to pay each billing cycle. Select the billing cycle timeframe from the dropdown list. For example, select Daily if you want the billing cycle to be based on a daily amount. 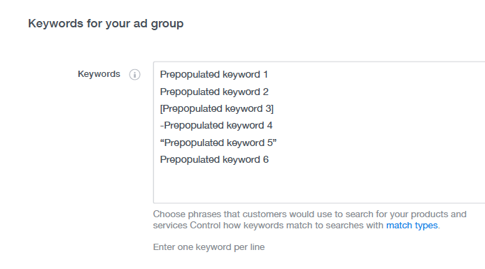 Ad groups are groupings of ads that help you evaluate various optimization strategies (such as creative elements, bidding, and targeting). On the design side, for example, you can test out different headlines, creatives, ad copy, or calls to action against each other to see which one performs best. 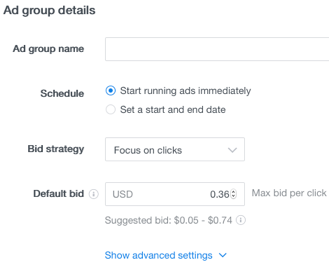 On the bidding side, you can test out different bid prices to see which bid yields the most clicks or conversions. Type a name for the ad group. Select a scheduling option: - Select Start running ads immediately if you are ready to run your ads. - Select Schedule to set a start and end date. Start typing the currency you want to use for billing purposes. Enter the maximum amount you want to pay per click. To begin creating a campaign, upload the images you will use in your campaign. Yahoo Gemini uses the large rectangle image to create a square image, but you can optionally upload a different square image if you like. Optionally upload an MP4 video. Create the text portion of the ad. 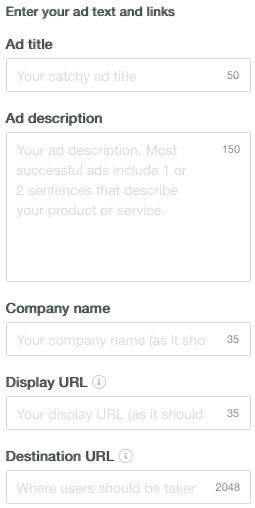 Yahoo Gemini now provides support for Expanded Text Ads for Gemini Search campaigns. If you’re a search advertiser, you’ll have additional space now to craft longer and more compelling ad titles for improved user engagement. The table below describes these new features. Display URL Displays the URL that you’ve manually entered. For Gemini Account Sync, the display URL will be automatically generated from the final URL and customized URL paths from your AdWords campaigns. For others, manually entered display URLs are still supported. Landing URL Displays the URL that you’ve manually entered. For Gemini Account Sync, the landing URL will be automatically generated from one of your desktop final URLs and tracking templates from your AdWords campaigns. For others, manually entered landing URLs are still supported. If you have a call to action button, select your button from the dropdown list. Take a look at your ad to see how it looks on different devices. 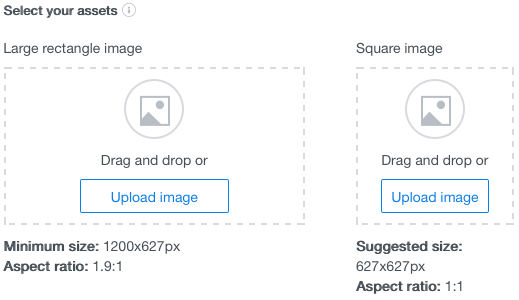 Click the device icons and arrow icons to the right of the Text and links area to see if you need to make adjustments to any of your images or text.